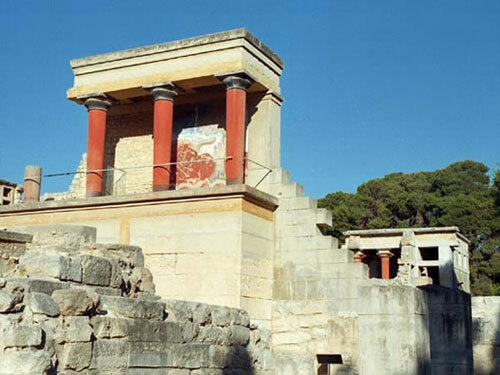 Knossos Palace, (5 km far from Heraklion) , the capital of the Minoan civilization, headquarters of king Minos and of the minotaur labyrinth, it was the first Minoan palace discovered and the only one rebuilt and restored by an English archeologist, Arthur Evans. It dates from 2000 B.C. 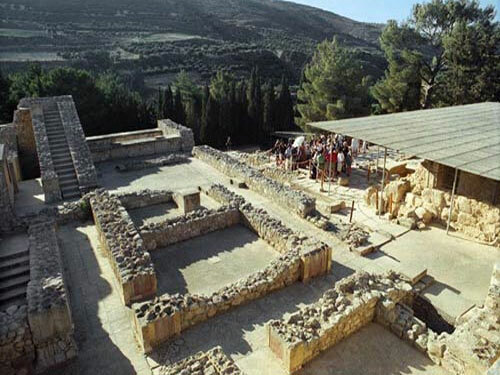 and was built by Dedalos when the Minoan civilization was in peak. This superb site is the only restored with the colors and frescoes according to the original model. His reputation is justified because he evoke the Greek mythology and especially the famous legend of Minotaur and the courageous These’s expedition. Your visit will continue with the Archeological Museum of Heraklion, the second largest in Greece after the Athens museum. 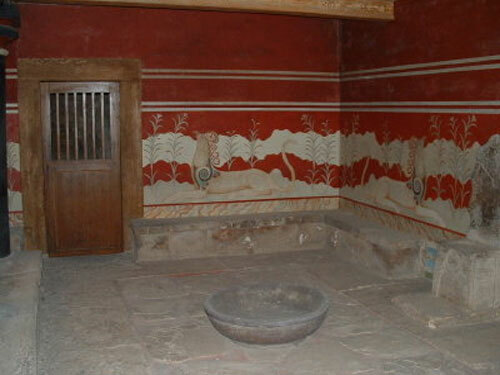 It is a unique guide of Minoan life and art and brings together a large collection from all the Minoan palaces in Crete (Knossos, Phaestos, Malia, Kato Zakros, etc).